Since dad was sick and the lad needed to get out of the house, we headed to London on Friday. We sold a guinea pig and cage, a rabbit, collected dollars from another guinea pig sale, did some Christmas shopping and watched "rise of the guardians". 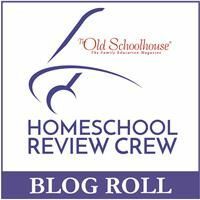 Homeschooling part: critique the movie. "I liked it mom. I wouldn't change anything except I wish one of the children would have dreamed up a Spider FBI person to help fight the bad guy." So what do the people stand for? He remembered that Santa is wonder and the teeth fairy help you remember things. Oh... and Jack Frost likes to have fun. My thoughts were: overall the move was a good movie. In our household we believe that God is the provider of all things, not Santa or the Sandman or anything else. But it was fun to watch. The lad thinks it is silly that people believe in Santa and such like because God loves us mom right? I found it interesting how they brought out that the mature Guardians had for the most part forgotten about the children, and Jack Frost reminded them of the children.